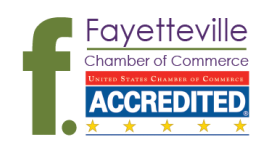 Fayetteville is repeatedly recognized as one of the Best Places to Live. With all of the resources and amenities of a large city, Fayetteville is tucked away in the foothills of the Ozark Mountains. Fayetteville boasts one of the most unique landscapes throughout the entire state of Arkansas. Mountain trails, running streams, serene lakes and breathtaking fall foliage. Want to know more? Visit our Visitor's Bureau website that offer plenty of Things to Do. Check out the video below produced by the University of Arkansas which showcases our flagship University, along with the amenities that make Fayetteville such a great place to Live, Work & Play.